Scott Padded Roading Harnesses. $48.95. Add $1.00 for Medium or Large. 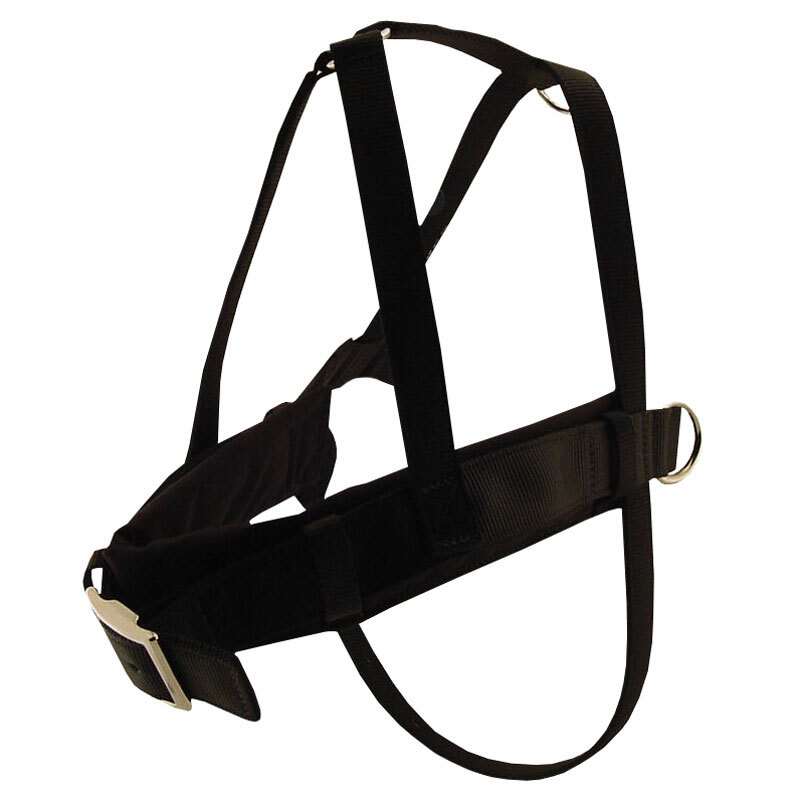 Roading harnesses are used for exercising your dog. Put him in a harness and slowly walk him down the road. All of the pressure moves to his chest and takes the strain off of his neck. The Scott padded nylon roading harness features double ply 1" black nylon construction and chrome plated hardware for durability. The padded front makes the harness more comfortable for your dog while helping better distribute pressure across your dog's chest. Includes a quick release. Side rings are designed so you can add additional resistance by adding extra weight for the dog to pull with logging chains. Great for training your bird dogs. X-Small: 25"-30" -- 40-60 lbs. Small: 34"-38" -- 60-80 lbs. Medium: 40"-44" -- 80-100 lbs. Large: 48"-52" -- 100-120 lbs.